Check out a handful of photos from AFRICOM-related events in April, including the African Lion exercise in Morocco, the Marrakech Aeroexpo, and a visit to Africa by the Senior Enlisted Advisor to the Chairman of the Joint Chiefs of Staff. Which photo do you like best? 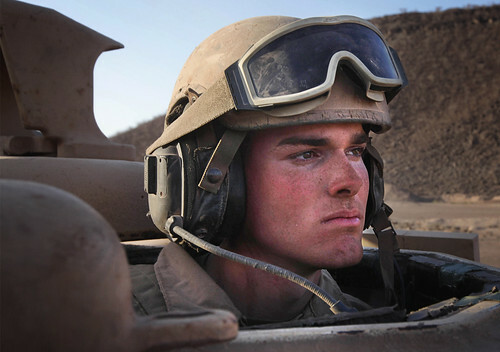 U.S. Army Pfc. Ivan Falcon and U.S. Air Force Tech Sgt. 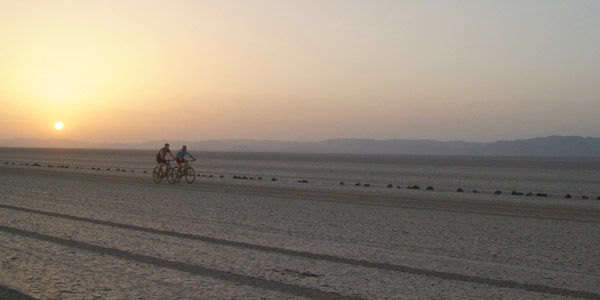 James Brock “grinding” through 100 miles of desert on mountain bikes. Pfc. Falcon is a chaplain’s assistant at Camp Lemonnier and decided to carry on with his 100-mile ride that he has done for the Tour de Cure (American Diabetes Association) for the past five years. Tech Sgt. 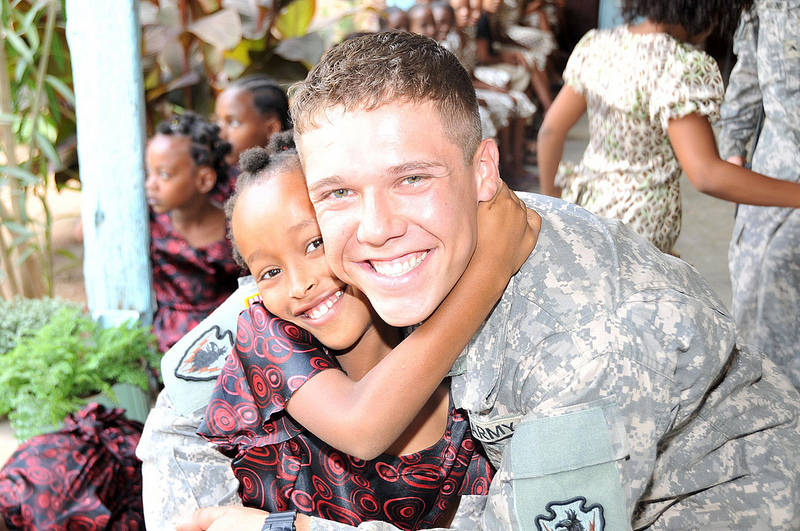 Brock is a photojournalist for Combined Joint Task Force – Horn of Africa public affairs and an avid cyclist. Congratulations to CJTF-HOA and Tech Sgt. James Brock! 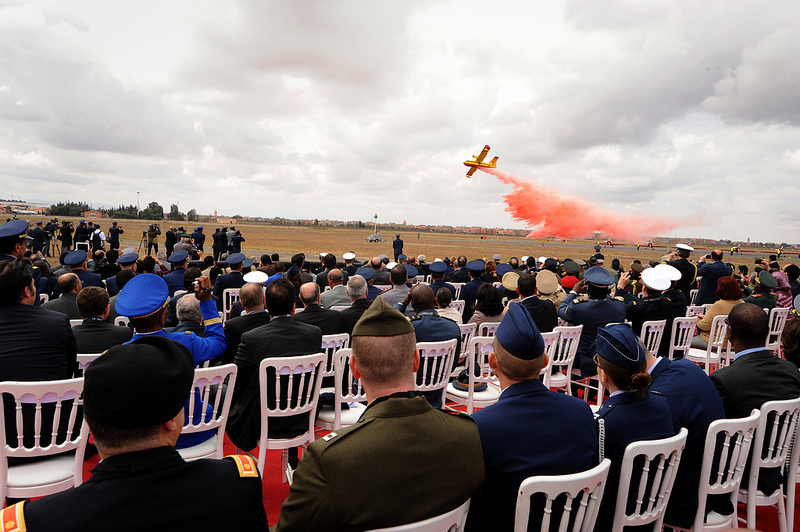 MARRAKECH, Morocco – A Royal Moroccan Air Force CL-415 performs for a crowd during the opening ceremonies at the Marrakech Aeroexpo April 4, 2012. U.S. Air Forces Africa is participating the third biennial Aeroexpo Marrekech to strengthen the partnerships with the nations involved and show commitment to security and stability in the region. Watch a slideshow of more photos from the Marrakech Aeroexpo. 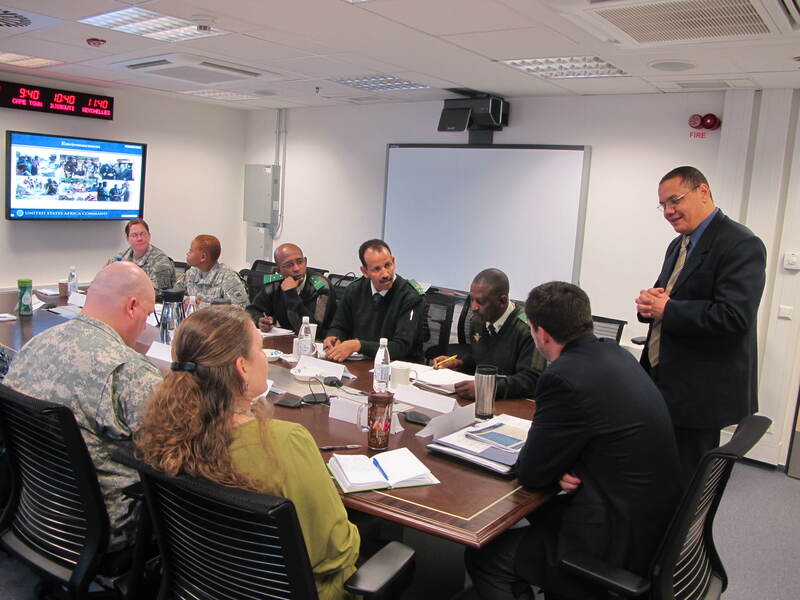 Read more about the SEAC visit here. 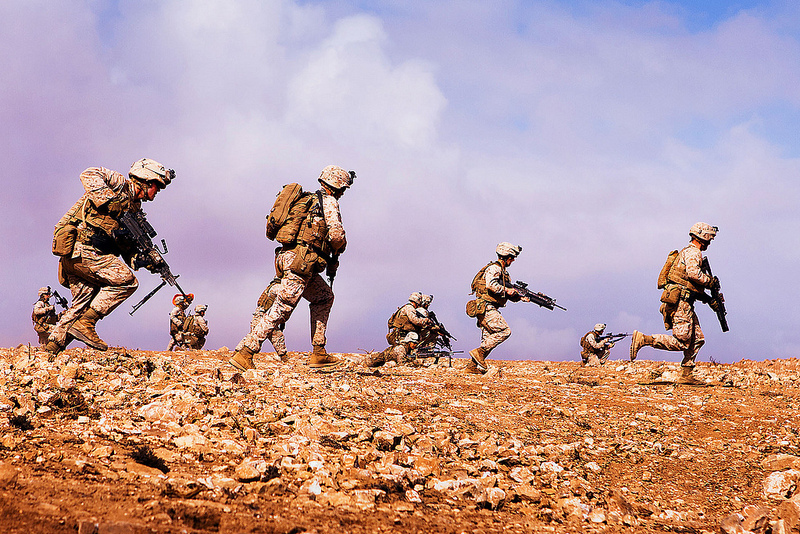 Marines of 1st Battalion, 2nd Marine Regiment, Battalion Landing Team, 24th Marine Expeditionary Unit assault an objective during a rehearsal of the final exercise at Exercise Africa Lion 2012 April 16. 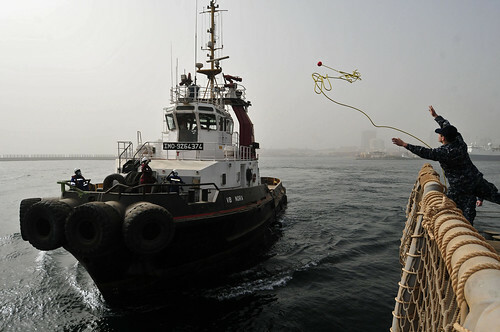 AL-12 is a U.S. Africa Command-sponsored, Marine Forces Africa-led exercise involving various types of training including command post, live-fire and maneuvering, peace keeping operations, an intelligence capacity building seminar, aerial refueling/low-level flight training, as well as medical and dental assistance projects. 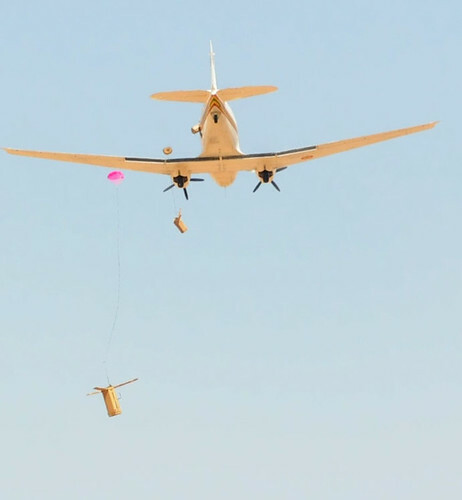 The annual exercise is designed to improve interoperability and mutual understanding of each nation’s military tactics, techniques and procedures. Catch much more in our wrap-up of African Lion. 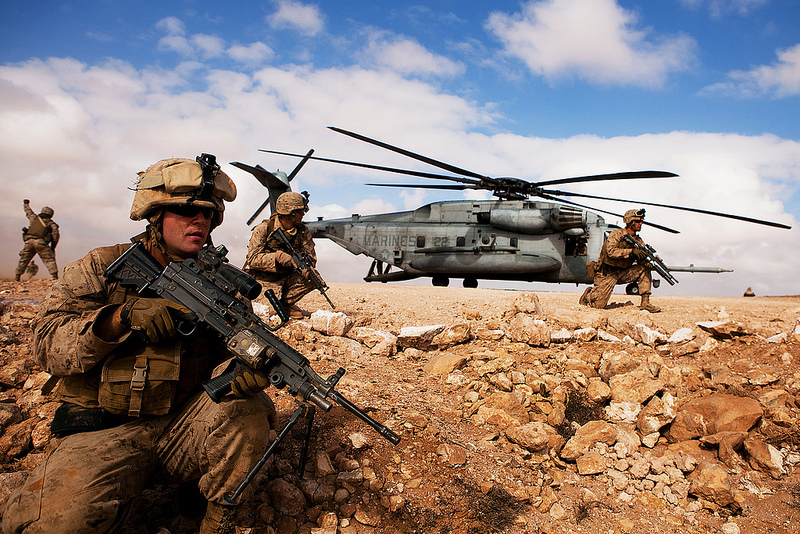 Marines of 1st Battalion, 2nd Marine Regiment, Battalion Landing Team, 24th Marine Expeditionary Unit provide security for a CH-53E Super Stallion helicopter during a rehearsal of the final exercise at Exercise Africa Lion 2012 April 16. Which photo do you like best? Vote for your favorite by commenting below. We’ll tally the votes and report the winner on Friday, May 4. Thanks to everyone who voted on their favorite AFRICOM-related photo in March. View the five contenders here, which represent a variety of efforts the U.S. is engaged in Africa, including well development, relationship building with our partner nations, theater security cooperation and maritime security operations. Check out more photos by Master Sgt. 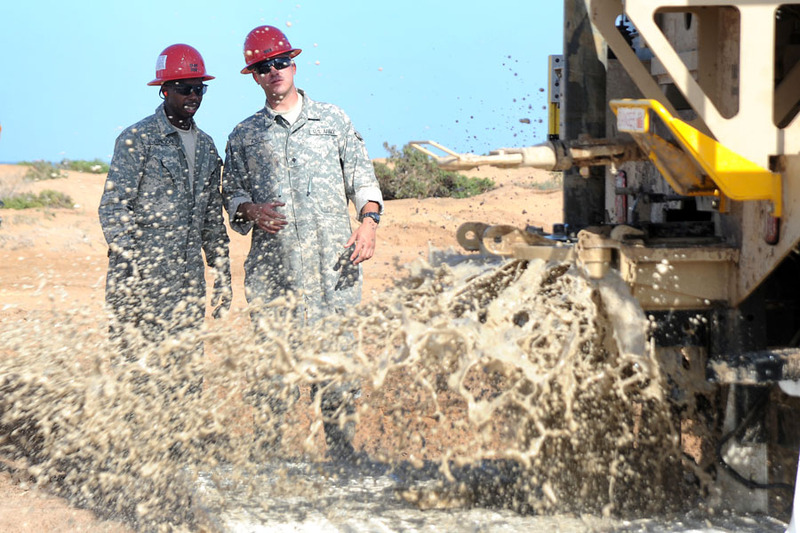 Garcia in this photo album from the water drilling tests. 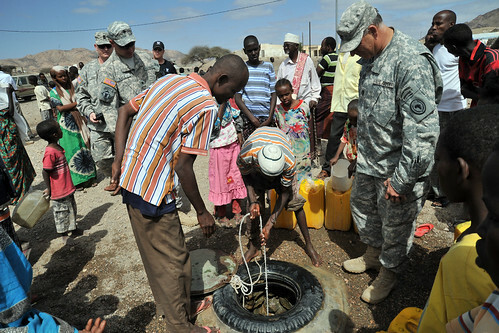 “The wells are part of a study to determine if pulling water from a beach aquifer is a viable option for removing Camp Lemonnier from the Djiboutian Fresh Water Aquifer and leaving that resource solely for the Djiboutians,” said U.S. Army Captain Joseph Bzdok, 257th Engineer Team commander. Read the full story here. 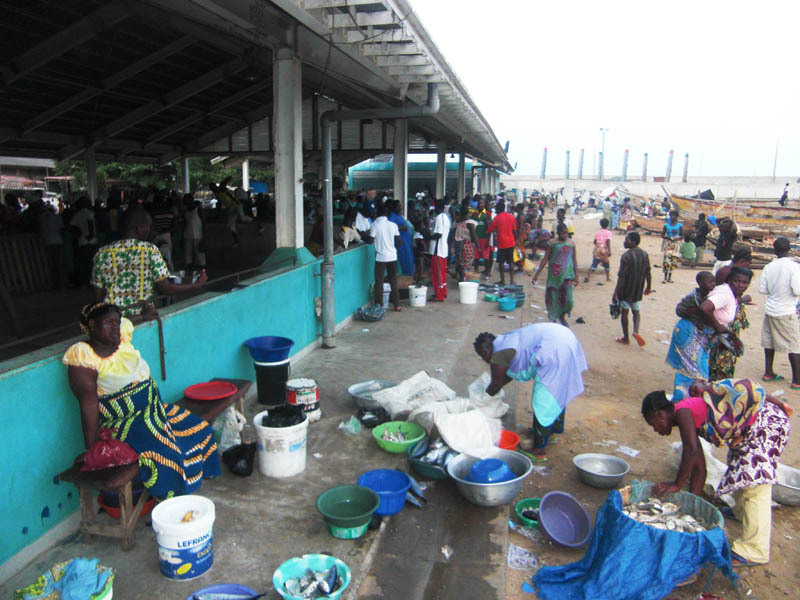 Read more about the United Nations Mission in Liberia. Look for another monthly photographic round-up at the end of April. In the meantime, check out many more AFRICOM-related photos on our Flickr photostream. Tell us your vote in the comments section. We’ll announce the winner next Monday. Watch a slideshow of more photos from USS Simpson. 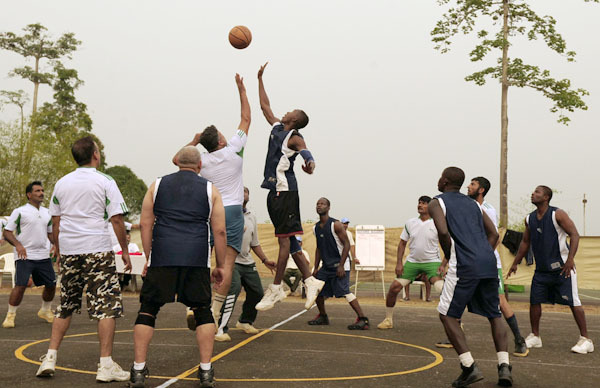 An Armed Forces of Liberia soldier, right, jumps to receive the tip against his Pakistan opponent during a basketball match between the AFL’s Armed Forces Training Center and their United Nations Mission in Liberia counterparts at Camp Sandee Ware, Liberia, March 21. The game was the final event of a three-day sports festival between the two organizations. The AFL team defeated the UNMIL team 19-17, giving them the overall title. The two organizations also played each other in soccer (won by the AFL) and volleyball (won by the Pakistan-based UNMIL squad). View the photo album from the water drilling tests. 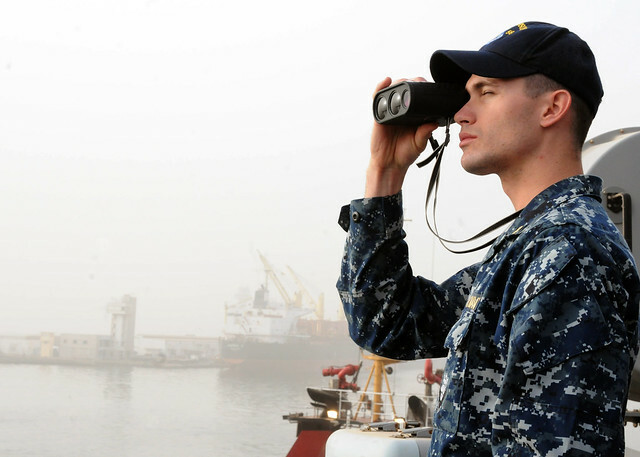 Read a story about the Maritime Safety and Security Conference gathering of representatives from Economic Community of Central African States (ECCAS) and Economic Community of West African States (ECOWAS). 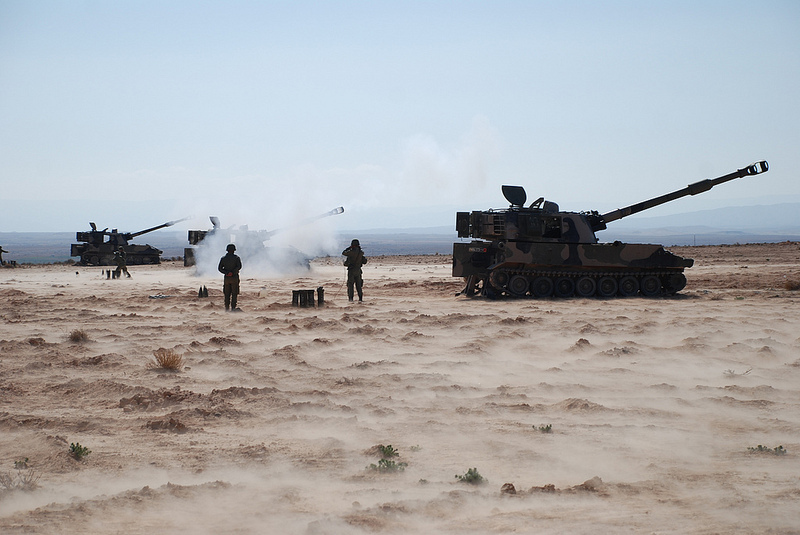 MOROCCO, Mar 26, 2012 — In order to help improve the security of Morocco, 20 members of the 15th Royal Artillery Group purchased approximately 60 armored vehicles called M109A5 howitzers through the U.S. Foreign Military Sales program. At the request of the Royal Moroccan Field Artillery Training Center, an artillery tactics military-to-military exercise was executed in the cities of Fes and Guercie, March 4-10, 2012 to help provide the Moroccan soldiers with training on the maintenance, safety and firing of the M109A5 system. 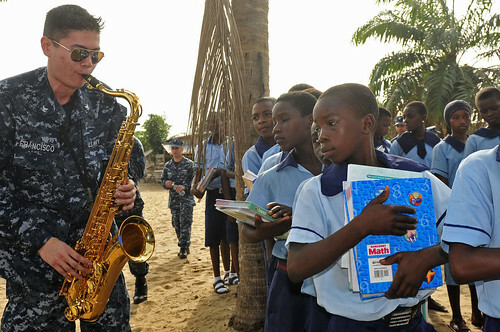 Survey results: Sailor reenlisting is the favorite AFRICOM photo from February! Congratulations to photographer Staff Sergeant Joseph A. Araiza! Staff Sergeant Araiza’s photo was the runaway favorite for February photos in the area of responsibility for the U.S. Africa Command. 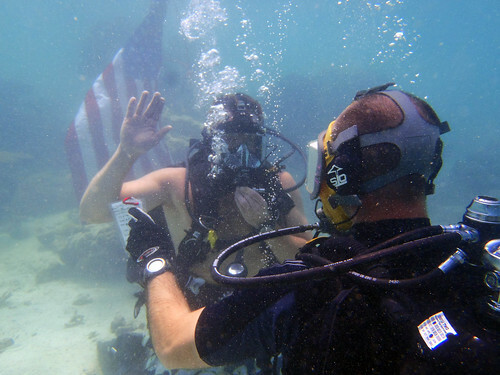 Check out his terrific photo below of U.S. Navy Petty Officer 2nd Class Geoff Shepelew reenlisting underwater off the coast of Djibouti. This photo gathered 78% of the total votes, counting both online survey votes and blog comments. View the other contenders here. Thanks to everyone for voting! Feel free to post photos you like relating to AFRICOM in March on our Facebook page, and look for the next photo survey in a month.